Haven’t heard of Baltus Van Tassle? 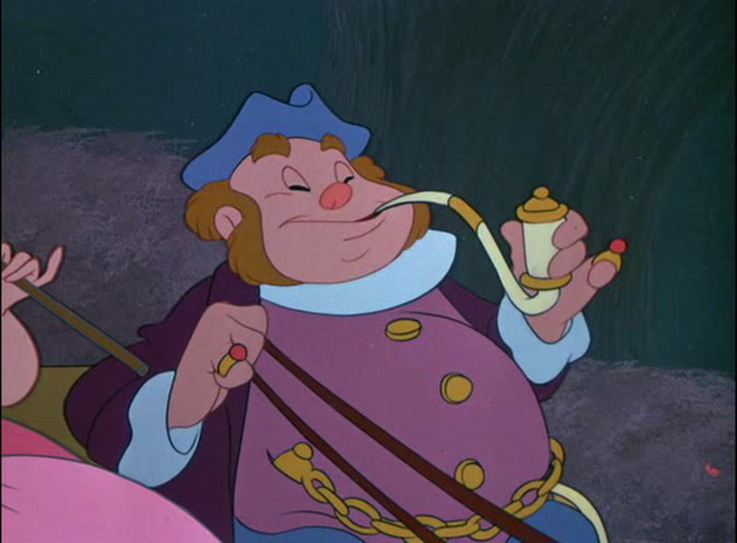 He’s in The Adventures of Ichabod and Mr. Toad — the dad of Katrina Van Tassle — and has a very fancy pipe. 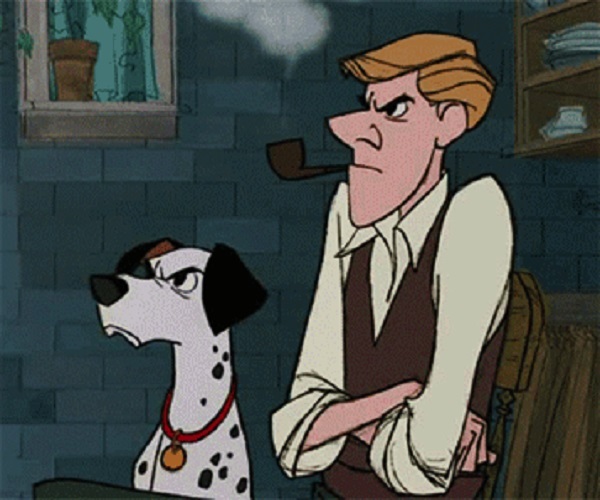 Having to care for 101 dogs of any kind is stressful, but Ben Wright has to fend off a villainess who wants to make a coat out of them, so we get why he’s lighting up his pipe. 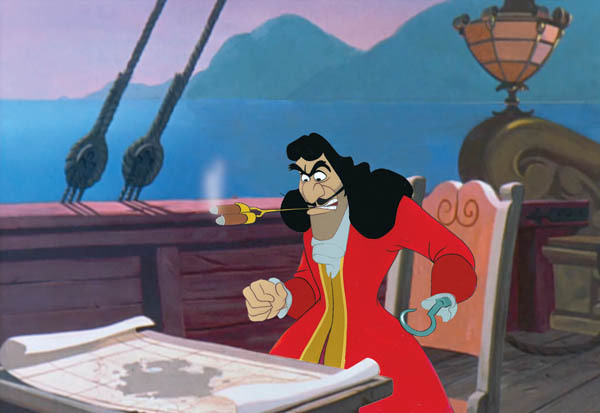 We’d expect Captain Hook to smoke — he is a pirate, after all — but this dual-pronged stogie holder is the strangest thing we’ve ever seen. 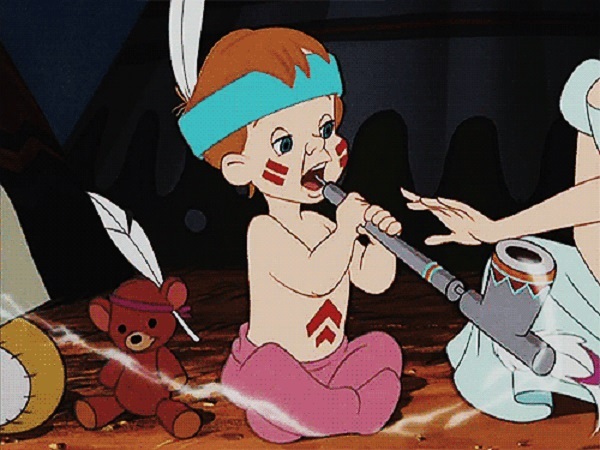 We have to admit that smoking a hookah in a kids’ movie sends a really bad message. 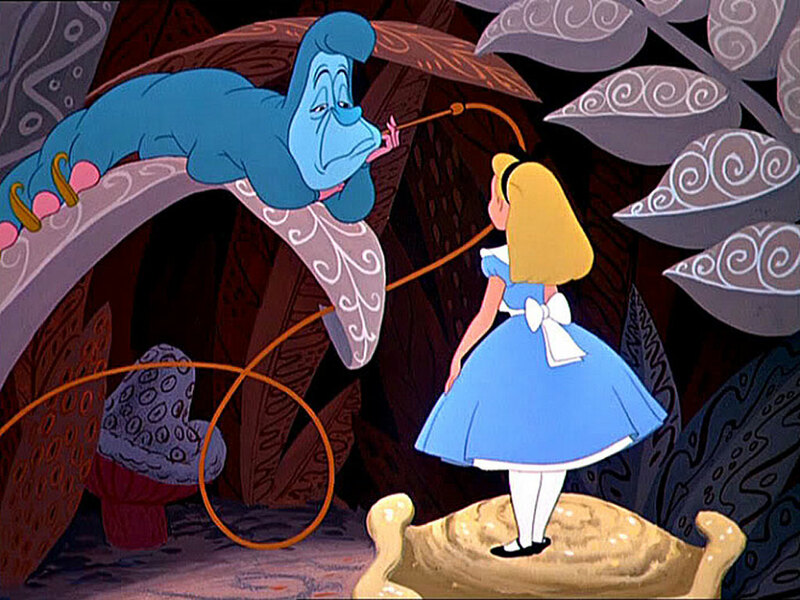 We can’t help but love Alice’s interaction with the Caterpillar anyway. 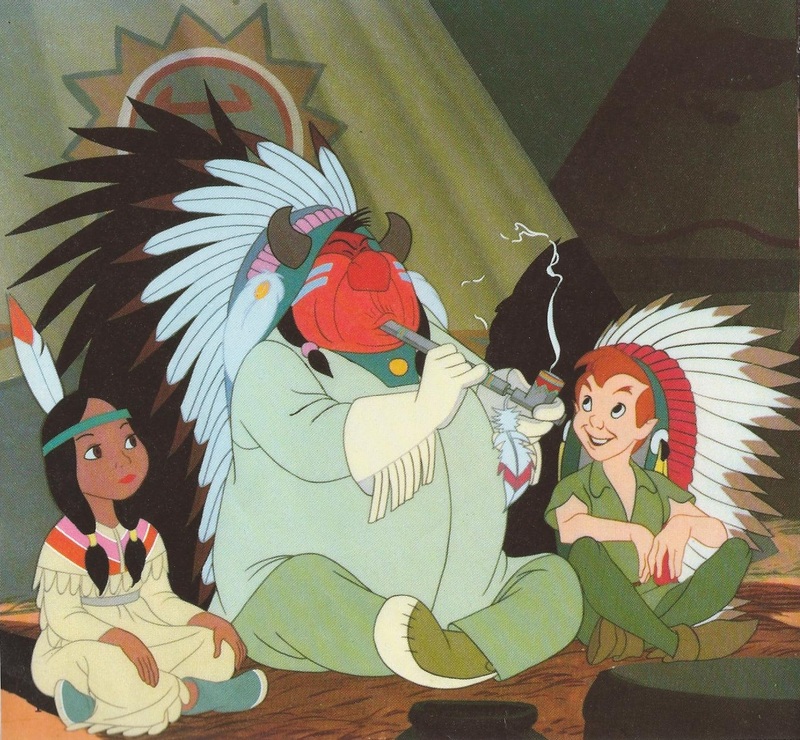 Of course the Indian chief smokes tobacco. It’s part of the Native American culture — or, in this case, caricature. 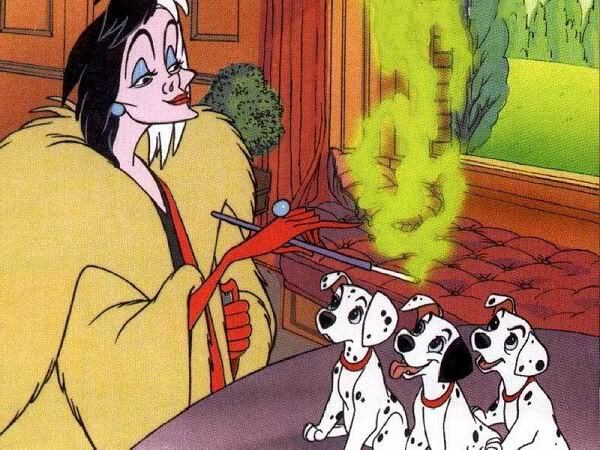 Cruella de Vil is like the shadow of a Hollywood star: all the glam, with her long cigarette holder, but none of the heart. 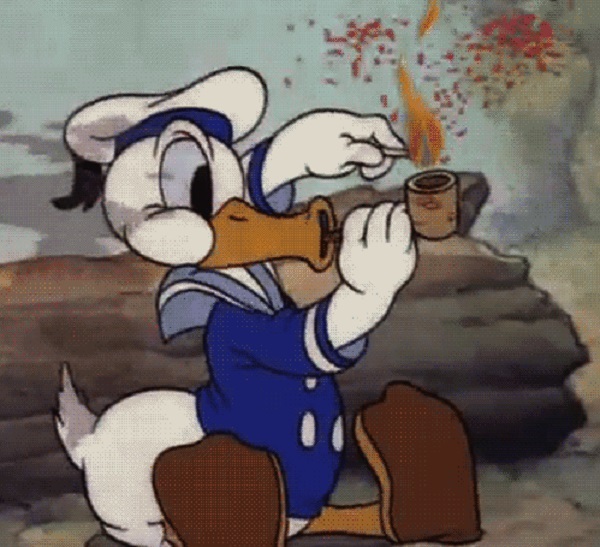 Donald is just doing what any other duck in a cute little sailor’s outfit would do: smoke a pipe to prove his masculinity! 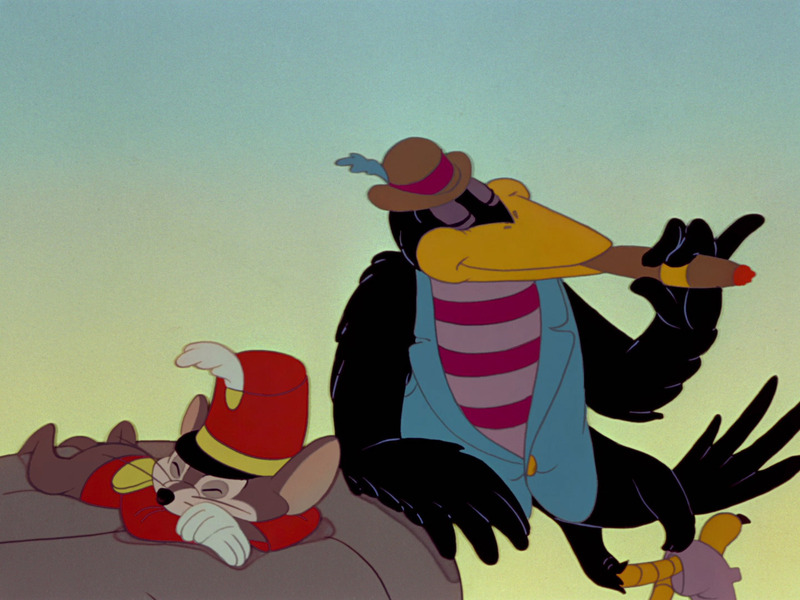 Jim Crow was part of the circus and, well, circus folk weren’t known for being role models, even in Dumbo. It looks as if wee Peter Darling is about to puff on some pipe tobacco, but luckily, big sis Wendy takes the pipe from him just in time. The look on little John Darling’s face says it all. 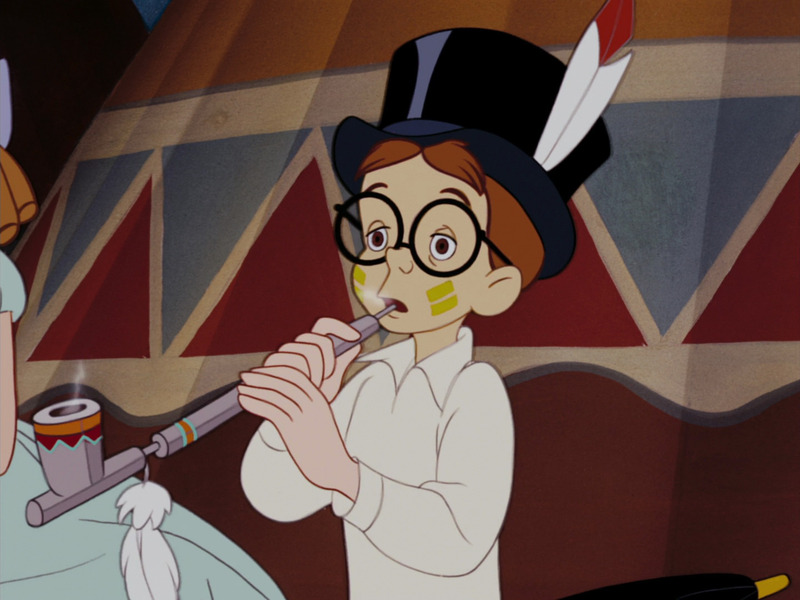 He clearly doesn’t want to smoke that pipe during Peter Pan’s story about doing a lot of strange things. 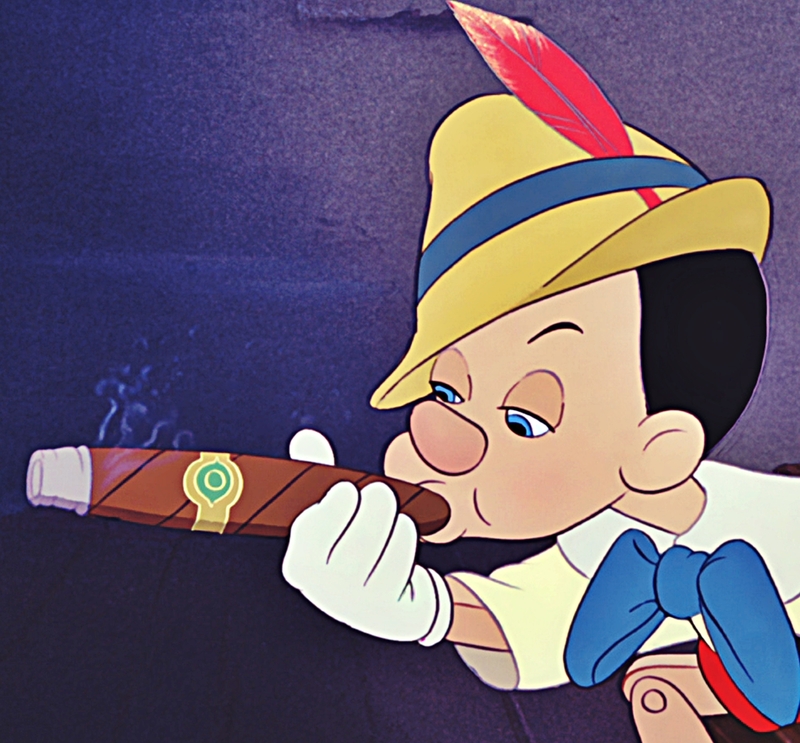 We can only wonder if Pinocchio’s cigar is a Cuban, since Pinocchio came out before the Cuban cigar ban. 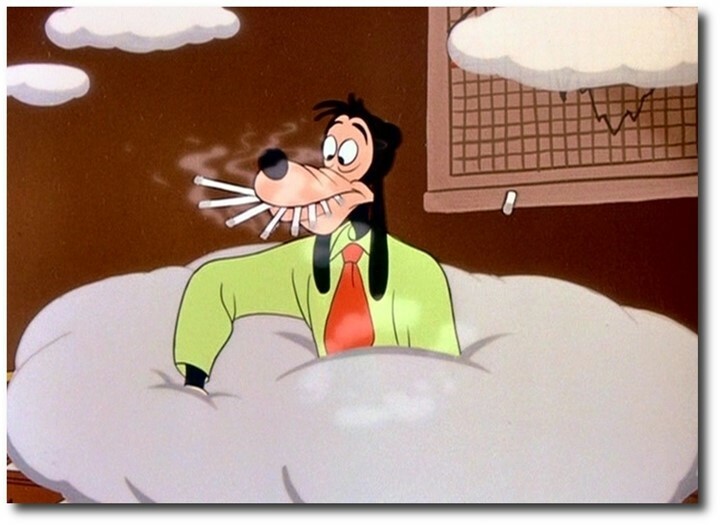 This image of Goofy puffing eight cigarettes at once is actually from an anti-smoking campaign launched in 1951 with the film No Smoking. 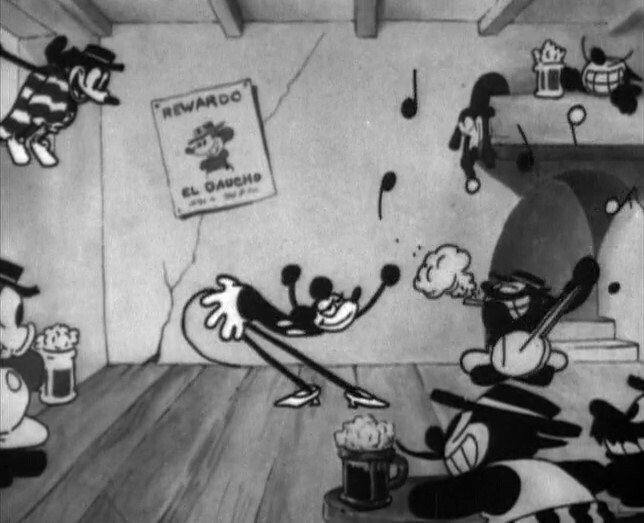 Here’s something you’d never see today: Mickey drinking a beer and the banjo player smoking a cigarette while he plays. Times have changed. 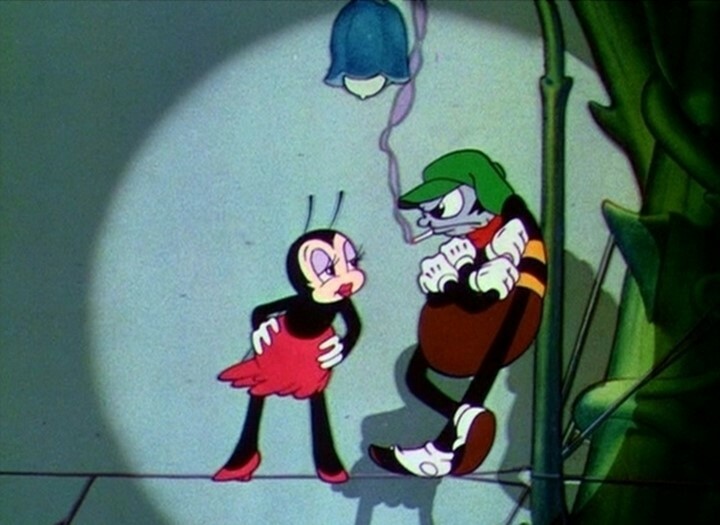 This beetle (or possibly a cockroach) from the 1937 short animated film Woodland Cafe clearly seems up to no good, and the cigarette cinches it.